Amnesty International has warned that refugee camps on Greek islands are dangerously overcrowded, putting female refugees "at increased risk of harrowing abuses." Overcrowding in refugee reception facilities on Greek islands has arrived at "crisis point," Amnesty International said in a report released on Friday. Almost 17,000 people are living in five camps designed to hold about 6,400 people. "The abject failure of European governments to open safe and legal routes to refugees fleeing war is putting women and girls at increased risk of harrowing abuses," said Kumi Naidoo, Secretary General of Amnesty. The report states that "lack of sanitation, insufficient clean drinking water, streams of raw sewage and infestations of mice and rats are common in all camps." 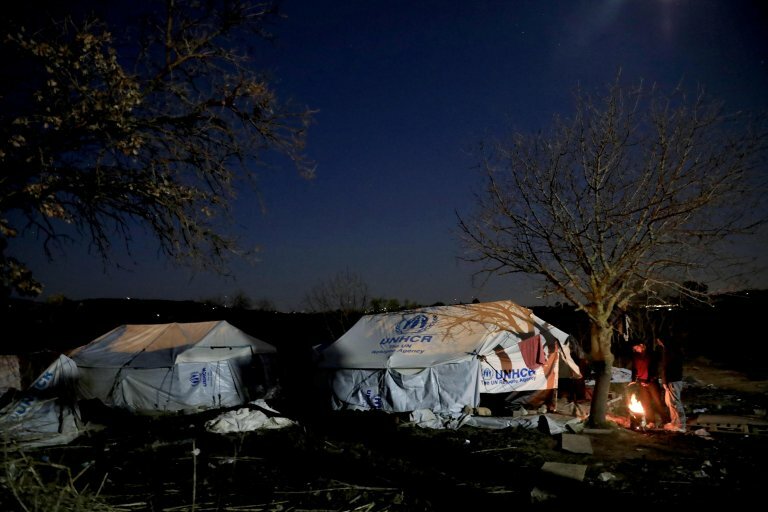 The report noted that "due to a migration deal struck between the EU and Turkey in March 2016, those arriving on the Greek islands find themselves trapped in terrible conditions in squalid EU-sponsored camps." The report - titled "I want to decide my future: Uprooted women in Greece speak out" - focuses on the situation of female refugees and migrants. Amnesty says that it spoke to more than 100 women and girls living in camps and other accommodation in and around Athens and on the Greek islands since March 2017. They say that while the situation in the camps in Greece is bad for everyone, it is often worse for female refugees and migrants. - "Lack of locks on bathroom doors and poor lighting mean that everyday activities such as going to the toilet, showering or even just walking at night become fraught with danger for women and girls." - "Several pregnant women described to Amnesty International having to sleep on the floor and having very little, if any, access to [pre-birth] care. Last month, a woman reportedly delivered her baby in a tent in Moria camp without any medical support."